In need of storage or some kitchen charm? Fox Run's Black Square Pot Rack is anice and functional addition to any kitchen. 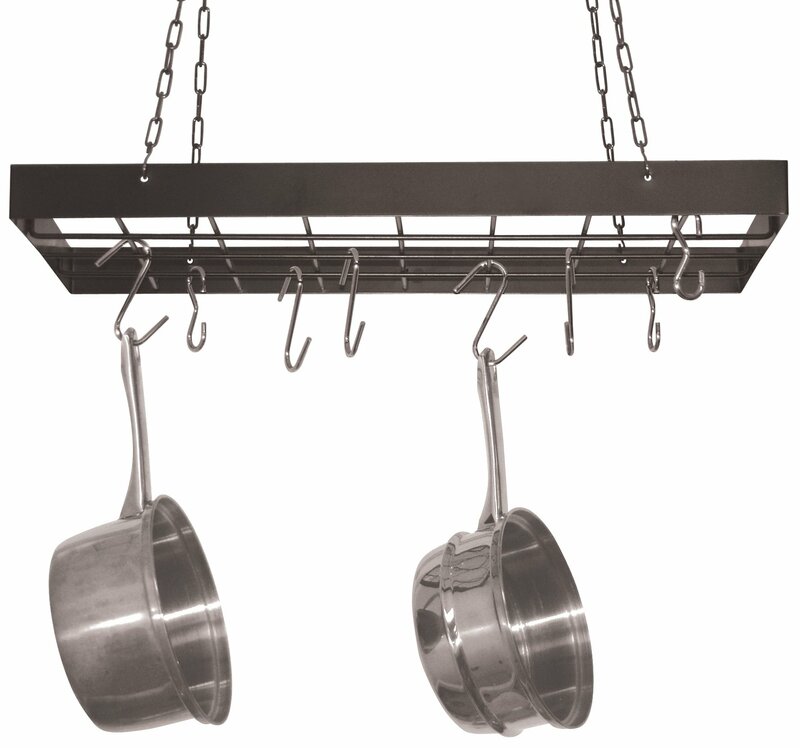 Hang from any ceiling forconvenient pots and pans storage. The heavy duty construction of the rack willleave you worry and space free! About Fox Run Fox Run is a leading supplier ofeveryday, special occasion and holiday baking accessories. Founded as adomestic cookie cutter manufacturer 40 years ago, Fox Run is now a leadingsupplier to independents across North America with our broad range of hard tofind kitchen gadgets.